Among the offshore companies associated with Nicaragua and registered with Mossack Fonseca at the beginning and the end of the nineties, there are at least two that aren’t related to known business people or groups, but to people who figured in political affairs alongside comandante Ortega, during the years he was an opposition leader. Today, both men are presidential advisors. The two are retired general Alvaro Baltodano, currently presidential commissioner for investments, and the Nicaraguan citizen of Libyan origin, Mohamed Lasthar, an alternate deputy to Parlacen, the Central American parliament, and presidential advisor on foreign policy. In May 1992, when Baltodano was an active member of the Army command structures, a company named Jadehouse Consultants Ltd, based in the British Virgin Islands, was registered with the law firm Mossack Fonseca with Alvaro Baltodano and Carlos Aguilar named as the company’s intermediaries and directors. The society was deactivated in November 1993, after only 1½ years of life. According to the company’s memorandum of association and its international business ordinance, the Virgin Island legislation imposed no limits on the company’s objectives. Minimum capital for registration was $50.000, and 50,000 shares were issued at a cost of $1.00 each. Confidencial requested information from Baltodano via telephone and e-mail as to whether his relationship with Mossack Fonseca was of a strictly personal character or as official representative for the Armed Forces, or as an intermediary for another person. However, we received no response to our inquiries. An article linking Baltodano with Carlos Aguilar Calderón, former ambassador to Costa Rica appeared in The Miami Herald as part of a story from that same time period. The article centers on an operation to hide six million dollars from unreported sources, and portrays Baltodano and Aguilar as members of Humberto Ortega’s select inner circle during the period when he was Head of Nicaragua’s Army. Laureano Ortega, Government Investment advisor, along with Mohamed Lashtar, private secretary to the commander Daniel Ortega, on a visit to Kuwait. (Photo: Presidency). The article by Gerardo Reyes and Glenn Garvin was published in June, 1997 and relates how in 1992 a lawyer from that city “stumbled across” a certificate of deposit for six million dollars while reviewing documents involving a divorce between Nicaraguans René and Martha Contreras. Rene’s brother Ramiro, who was General Humberto Ortega’s personal assistant, appears as the person who deposited the six million dollars into an account with Lloyd’s International Bank in the Bahamas, using his brother and sister-in-law as front men. While processing the couple’s divorce, information regarding the secret account became known to the Miami lawyer in charge of the case, who also had access to the account activity. Among the movement of that money was a withdrawal of $930,363 for deposit to the Panamanian company Caribbean Fruits Investment Inc., whose president was Alvaro Baltodano and whose secretary was Ramiro Contreras. There was another withdrawal registered of $150,000 for the account of Carlos Aguilar. In the 1997 article, the Miami Herald reporters note that neither General Ortega nor Ramiro Contreras responded to their request for an interview. Contreras passed away several years ago, and Alvaro Baltodano, also mentioned in the story, has maintained silence. Laureano Ortega, the president’s son and the Nicaraguan government investment advisor, along with Mohamed Lashtar, the private secretary of Daniel Ortega, during a visit to Kuwait. (Photo: Presidencia). The second offshore company tied to a member of Daniel Ortega’s political circle in the Panama Papers is Laurel Properties, registered in December 1998 and presided over by Mossack Fonseca’s name-lending office worker Leticia Montoya, who in December 1999 authorized an unlimited general power of attorney for that corporation on behalf of the nationalized Nicaraguan of Libyan origin, Mohamed Lasthar, to be used anywhere in the world. The shares of the offshore company, a the total of 100 offered at $100 each, were divided into two sole certificates, only identified with the name of “the holder”. In May 2001, one and a half years after obtaining the power of attorney, Lasthar dissolved the company. According to cables leaked from the US State Department and reported via Wikileaks, Lasthar was tied in with the Libyan intelligence services beginning in the 80s and previously boasted of being Gaddafi’s nephew. Lasthar came to Nicaragua in the mid-eighties. During the nineties he represented the agricultural investments that the government of Tripoli developed in Tisma, Masaya and San Francisco Libre, Managua. He still maintains business ties there related to the raising of pelibuey sheep and other activities. In the 90s he became a key political-financial operator and chief intermediary for relations between Daniel Ortega and the now-deposed and deceased Libyan ruler Al-Gaddafi. Upon Ortega’s return to power in 2007, Lasthar was named secretary and private advisor for international affairs. He is currently an alternate deputy to Parlacen for the FSLN. 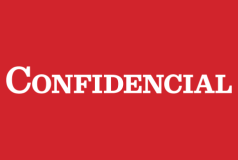 Confidencial requested an interview with Lasthar through various channels to obtain his explanation of the offshore account registered in Panama through Mossack Fonseca, but we received no reply.